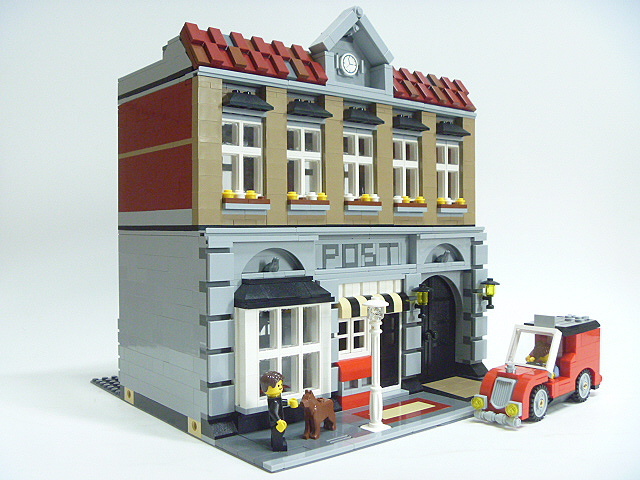 Brick Town Talk: Keep Me Posted - LEGO Town, Architecture, Building Tips, Inspiration Ideas, and more! Main Street - (BTT) The surest sign that summer is truly over? For some it is the changing color of the leaves or the taste of apple cider. For others, it is seeing the fine men and women of the post office trade in their shorts for a pair of long pants. While seasons may end, the need for mail never does, and branches like this elegant building helps make sure every piece reaches its final destination.